Spring 2018 Online Course: Completed! 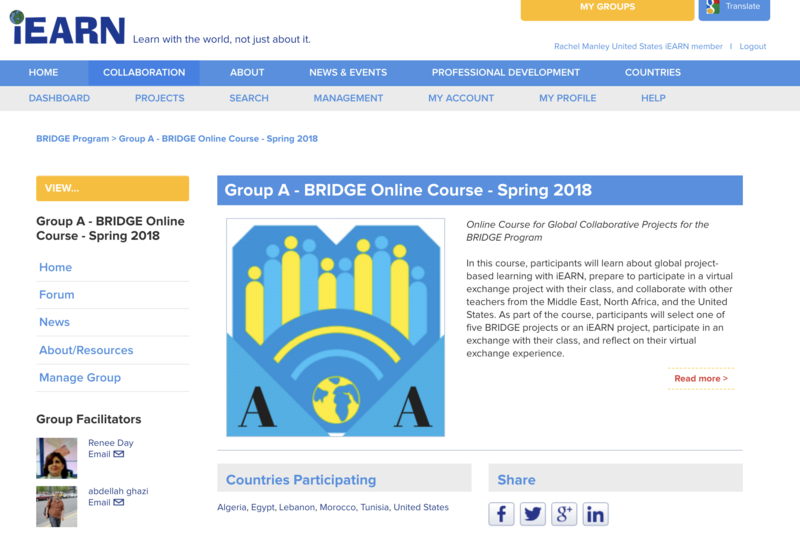 The fifth and final round of the BRIDGE online course for U.S. and MENA educators was conducted from February 5 - March 18, 2018. A total of 109 teachers from Algeria, Egypt, Israel, Lebanon, Morocco, Tunisia, and the United States completed the course. The teachers were split into four course groups and led by eight experienced iEARN facilitators, including four from the U.S., two from Algeria, and two from Morocco. The course taught participants about global project-based learning with iEARN. 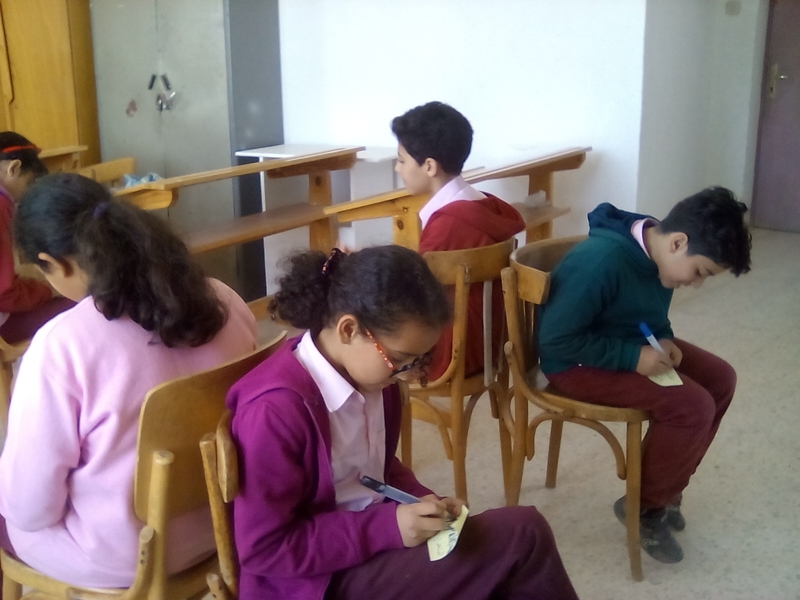 It prepared them to participate in a virtual exchange project with their class, and to collaborate with other teachers from the Middle East, North Africa, and the United States. 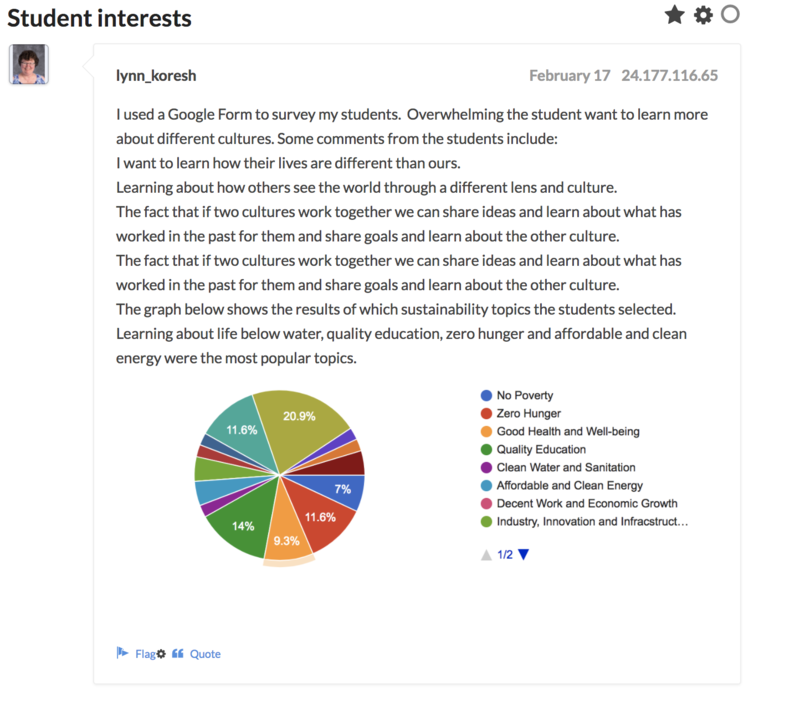 As part of the course, participants selected one of five BRIDGE projects or an iEARN project, participated in an exchange with their class, and reflected on their virtual exchange experience. Through the course, teachers learned how to integrate collaborative, project-based learning into their teaching practice while addressing local/national educational standards. They also discussed ways to prepare students for online global communication and project work, and to evaluate their learning. 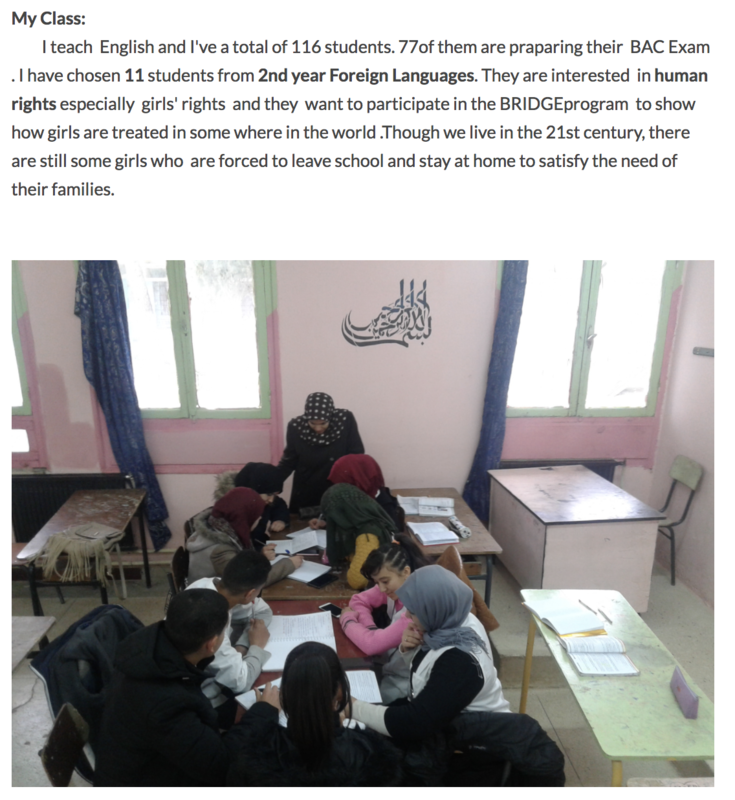 "They [my students] are interested in human rights, especially girls' rights, and they want to participate in the BRIDGE Program to show how girls are treated in somewhere in the world."